Guerilla Music | Balcony TV Zurich hosts Marc Salvador for stripped-down version of “Shadow”. 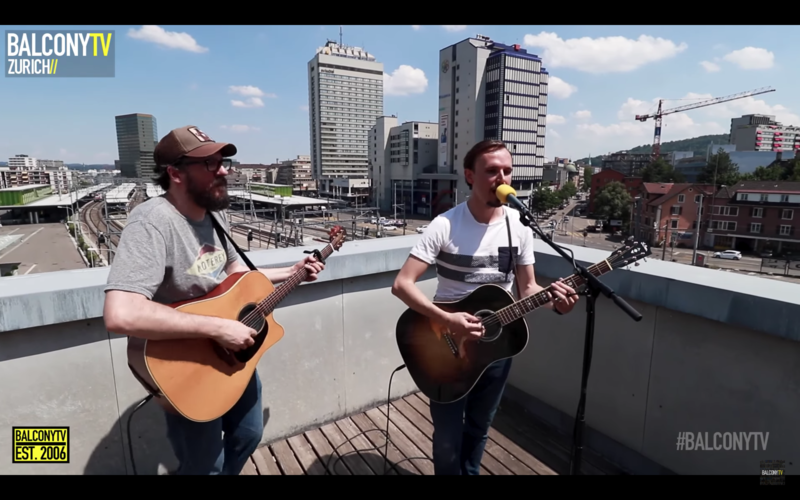 Balcony TV Zurich hosts Marc Salvador for stripped-down version of “Shadow”. 28 Aug Balcony TV Zurich hosts Marc Salvador for stripped-down version of “Shadow”. Marc Salvador merges rugged elements of rock, swaying pop subtleties and fresh dance melodies into a heavily 80s-synth soundscape with his newest solo endeavour. Fans of Jamiroquai, Pharrell Williams and Phoenix will be easily convinced of Marc Salvador’s sultry atmosphere. You can listen to Marc Salvador’s latest fiery single “Shadow” on the Swiss Newcomer Playlist. “Shadow” narrates an optimistic view of the human being future through shimmery gestures and zealous ambience.